Figure 17.26. Primary flexor enthesopathy. 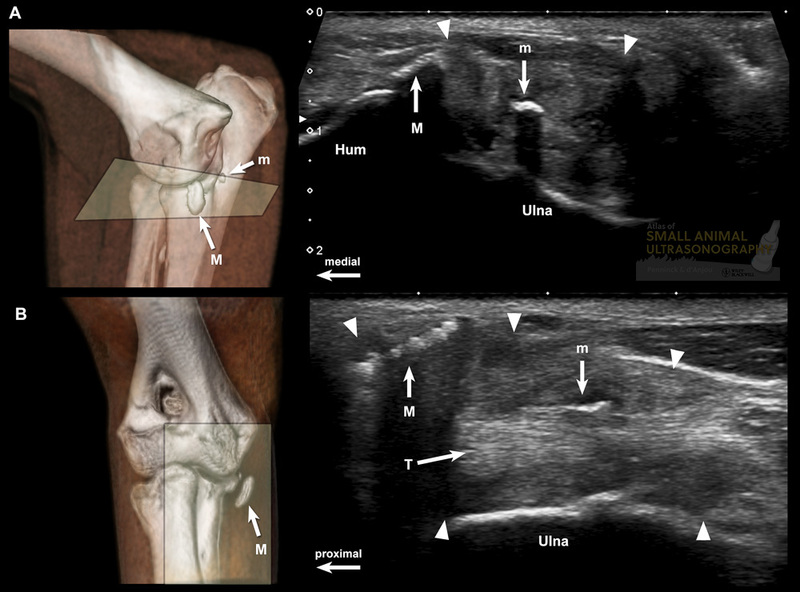 Medial (A) and dorsal (B) views of the elbow of a 14 month-old Golden retriever dog produced with computed tomographic (CT) volume-rendering, with the overlying transverse and longitudinal planes used to produce the sonographc images on the right (respectively). Large (M) and small (m) mineral fragments are depicted in all images. These mineral bodies are embedded in a heterogeneous mass of moderate echogenicity (arrowheads) consistent with fibrous and metaplastic soft tissue, in part confluent with some of the flexor tendons (T). Note the stronger acoustic enhancement associated with the larger mineral bodies. 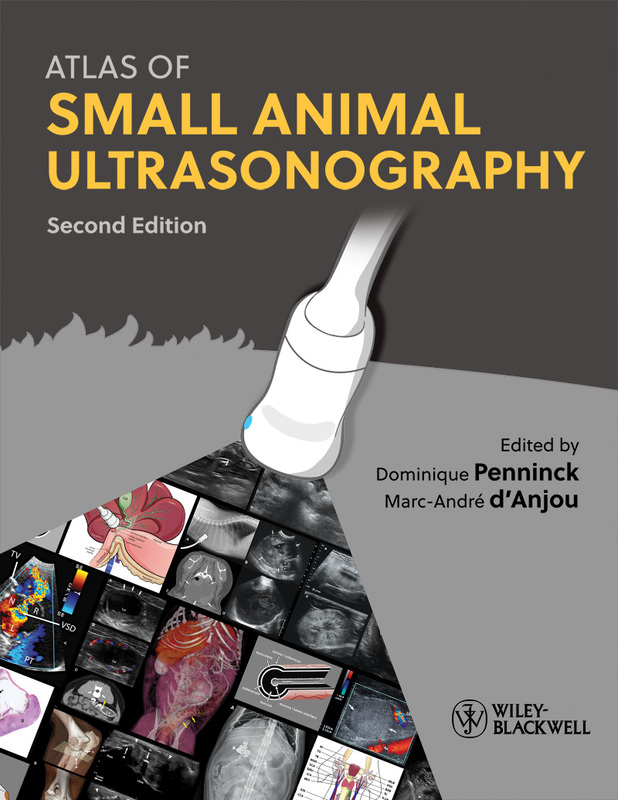 co-authored by Marc-André d’Anjou and Laurent Blond.